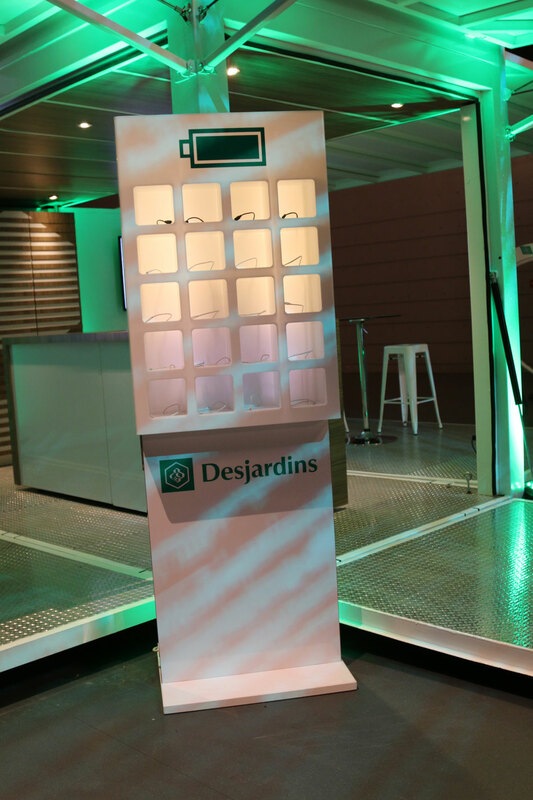 Last March, Desjardins introduced the custom-branded Loki Box Design products that support its promotional and mobile customer service efforts to its employees at a cocktail held by the banking institution. 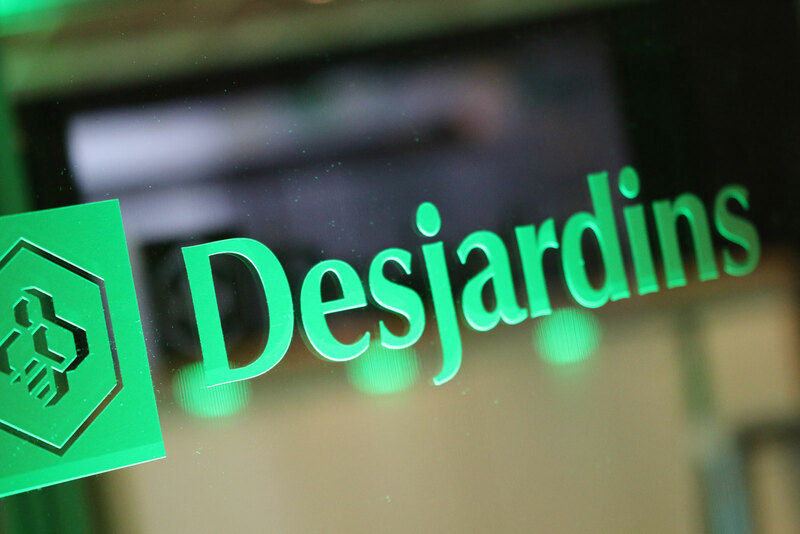 This event was a unique opportunity for the Desjardins employees to discover and enjoy the wide range of mobile marketing and service points that usually travel across Canada to visit events. 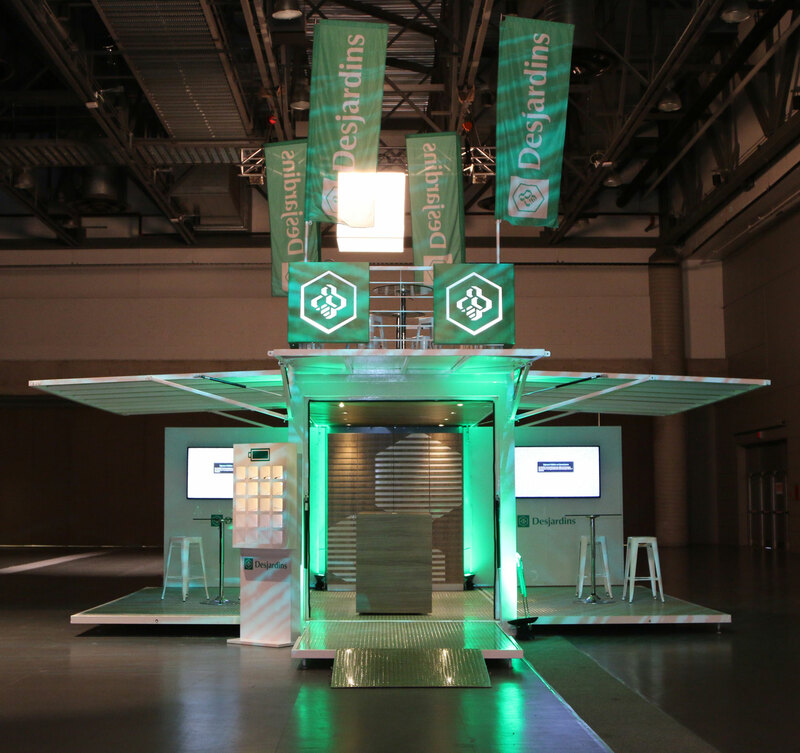 The demonstration organized under the indoor trade show formula featured several projects including the Desjardins Bank Mobile Branch, a next-generation mobile banking concept built from a bus that can reach out directly to customers. 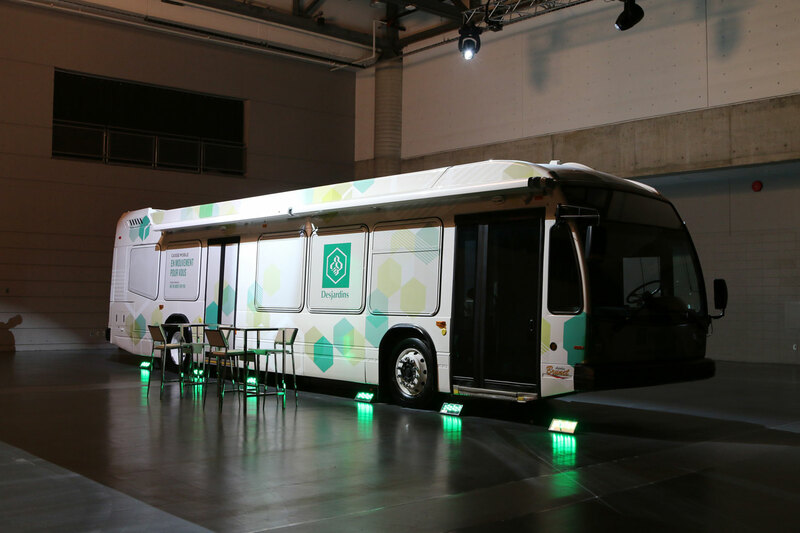 The LB16 branded unit equipped with a rooftop terrace was also deployed. 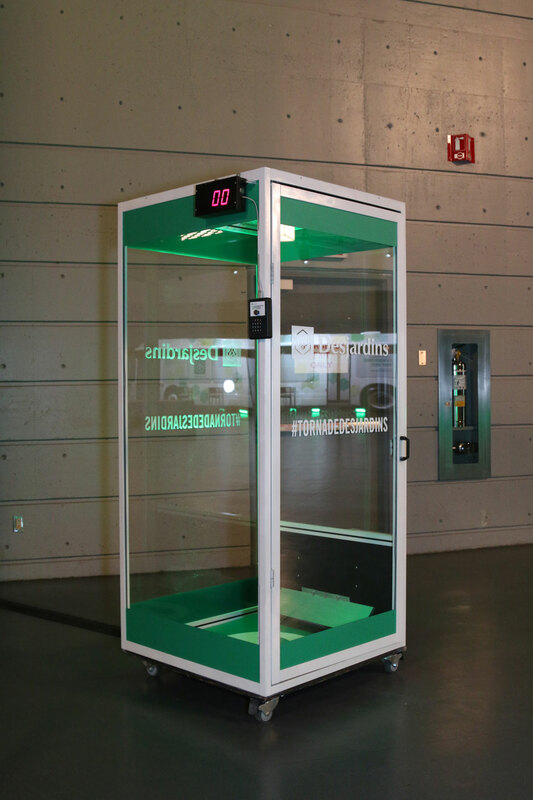 This highly mobile pop-up booth can be activated indoor as much as outdoor and offers quick and easy deployment. 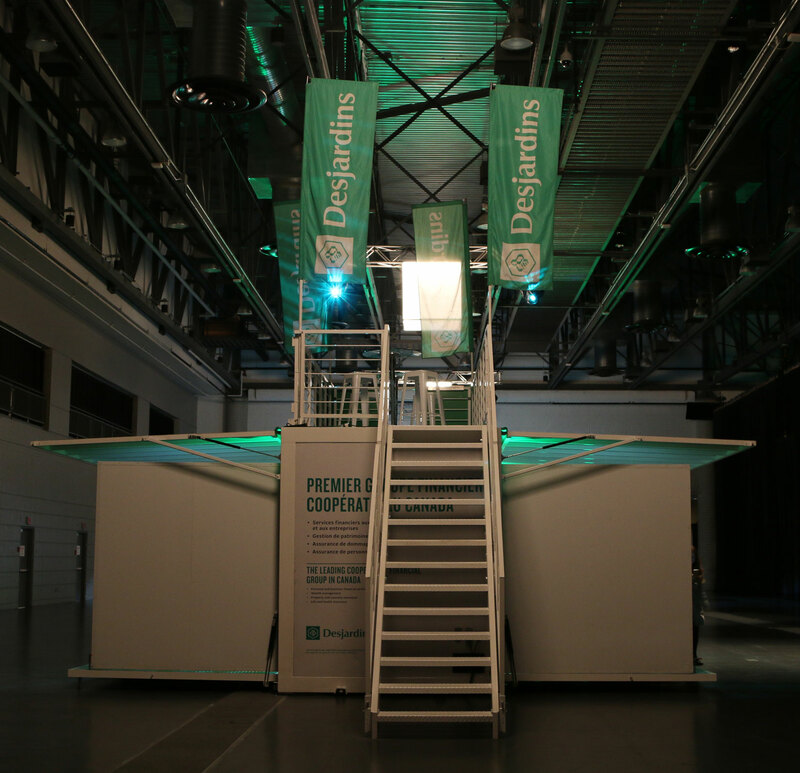 While bringing together a beautiful collection of products, this event not only demonstrated that the mobile experience signed Loki Box Design becomes an event attraction in itself. 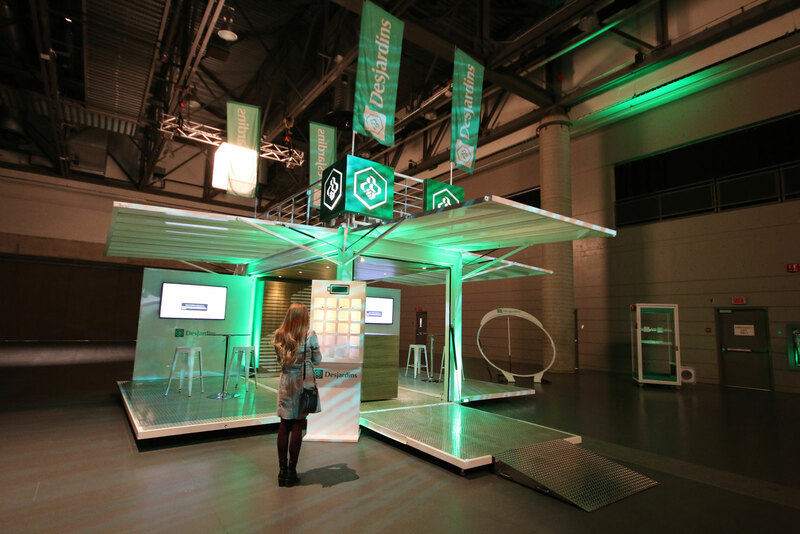 It also showed how easily these products can adapt to both outdoor and indoor locations, from trade show booths to mobile shops, demo booths, and marketing activations in malls. 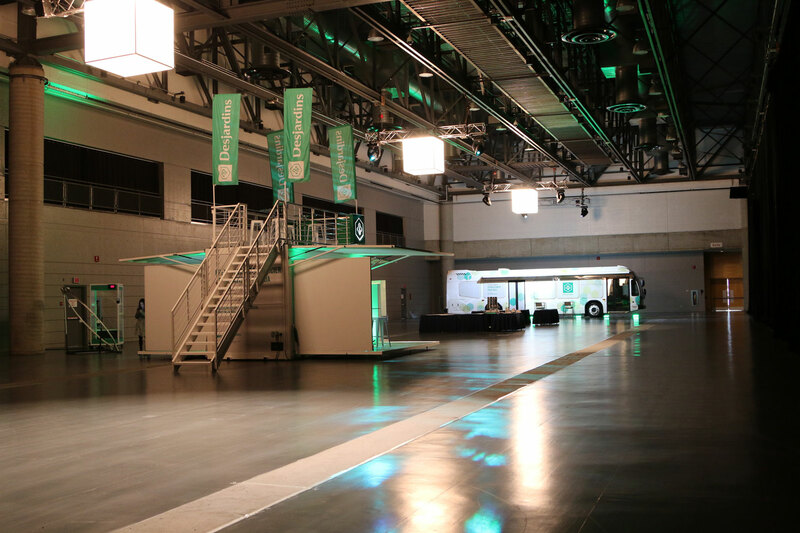 The highly mobile and flexible design of the Loki Box Design marketing products makes it the perfect solution thanks to the ease and speed at which they can be transported, installed and taken down in just about any type of indoor or outdoor environment. So, planning for an event? Think inside the Box!